As I channel surfed one night, I passed by this year’s NBA draft on ESPN. I stopped and watched a while, feeling a new curiosity and empathy about the lives of the young men in the spotlight. 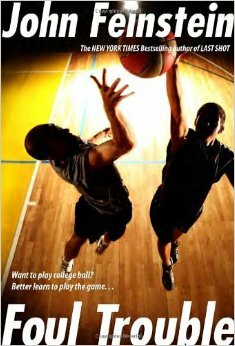 That was because a few weeks earlier, I had read Foul Trouble, a young adult novel by John Feinstein that should be required reading for any basketball fan. Foul Trouble is the story of Terrell Jamerson, a late-blooming high school phenom headed into his final season. The narrator is Danny Wilcox, Terrell’s best friend, and a pretty fine player himself. As the point guard who feeds Terrell passes and the son of the coach who is trying to protect the somewhat naive Terrell from the scavengers that would like to attach themselves to his rising star, Danny feels a lot of responsibility for his friend’s success. It’s a big burden to add to his own hopes of a scholarship at a smaller school, and Danny has a quick wit and a quicker temper, which means his attempts at protection often end in confrontation. 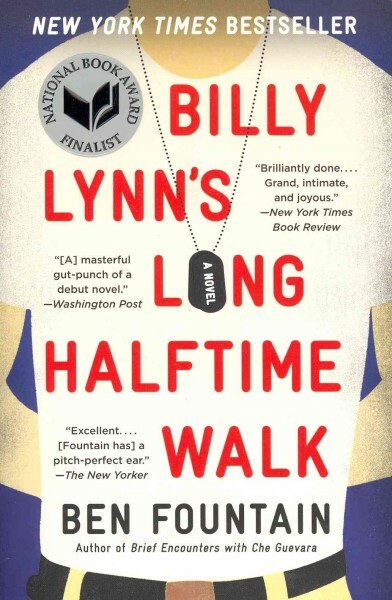 The book follows the pair through a gauntlet of crooked summer camps, self-serving media outlets, arrogant competitors, corrupt athletic gear salesmen, out-of-control boosters, and most of all, a series of recruiters and coaches who each have a different way of circumventing the rules that are supposed to govern the passage of a high school star into the college ranks. Feinstein clearly knows this turf, and by the time he’s done with his tale, the reader has a new appreciation for just how much pressure can be put on a top recruit. Along the way there are gifts, girls, faux friends galore, families ruined by greed, and all matter of temptations that Danny and Terrell must navigate. Sports fans will love this story, but even if you’re only a casual fan like me, the drama of the novel will keep you turning pages quickly. When you’re done, head for almost any of Feinstein’s nonfiction sports titles. They’re plentiful, covering many different sports, but with special focus on golf, baseball, and basketball. He’s a dependable writer, and you’re unlikely to go wrong, no matter which of his titles you select. 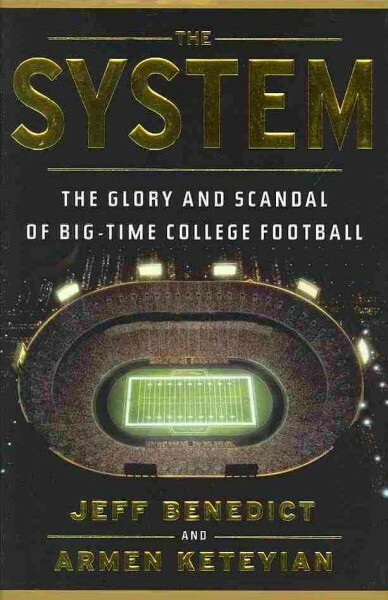 Looking at the cover of The System, you see a striking image of college football – an enormous stadium filled with cheering crowds awaiting the contest to begin on that emerald green field. As you zoom in on that field, that crowd, that contest, the reality gets dirtier and dirtier, until it seems that field is the Astroturf covering the edge of an open grave. Benedict and Keteyian have climbed into that grave, and The System is the report they’ve sent back. Football has long been the hallmark of college education in the United States. It is the rare institution of higher learning that doesn’t field a team. At the top of that pyramid, where iconic names like Notre Dame, Alabama, and Oregon reside, football is a big part of the college experience, and a successful program can seemingly make or break a school. And it shows in enrollments, donations, and construction. Benedict and Keteyian seemingly had complete access to every aspect of the schools they covered. Meetings between coaches and players, athletic directors and boosters, students and inquisitors, victors and victims are recounted in incredible detail. And every detail seemed to come down to money. The contrasts are staggering: a booster can give $185 million to support an entire program, but a player can be sanctioned for a $3.07 (yes, that’s three dollars and seven cents) accidental overpayment on a summer job. Coaches are routinely the highest paid state employees (even before the product endorsement deals and speaking engagements) when teachers, cops, and librarians are losing their jobs and pensions. T-shirts, jerseys, hats, and memorabilia bring millions in revenues, while student athletes supposedly earn nothing. An athlete accused of criminal activity can get legal advice from top-tier law firms, while their victims must rely on poorly paid prosecutors, and face threats and shaming for jeopardizing the program. And over it all is the mantle of the NCAA, which screams about teams offering cream cheese on bagels but misses the flagrant violations of their arcane regulations. The authors present each chapter as a story in and of itself, but the overall narrative is connected by the story of Mike Leach, the coach who created the stellar program at Texas Tech, but was fired for his tactics in disciplining a weak player. After an extended absence from football, he was hired by Washington State University, where he once again laid the foundations of a successful program, but also underwent another abuse investigation, in which he was exonerated. From the coach recruitment process to the creation of a team, through the discovery and recruitment of players to the relationship with the school administration, readers see Leach in every aspect of his professional life. We even get a glimpse of the difficulties Leach’s wife Sharon faces as a coach’s wife. Even for people who don’t care anything about football (and I count myself among their number), The System is a penetrating look at a dominant part of American culture. Whatever you feel about the game, you are sure to come away rethinking your position. There’s a lot that needs to be scrapped, some things that can be fixed, and some profound positives that deserve highlighting. Let’s hope real change can come from the discussion The System ought to start. This week’s posts are written by staff from the Circulation Services Division. Today’s review is written by Alan. The 15 years following the end of World War II are considered by many to be one of baseball’s golden eras. Attendance skyrocketed, great players returned from the war, the leagues were integrated, no other professional sport seriously competed for the affection of sports lovers, and television brought the game into millions of households. This same time brought forth the birth of a new development – the literary novel about baseball. Before, baseball writing consisted of newspaper reports and sports columns, inspirational sports novels for boys, and colorful and entertaining short stories about characters who inhabited baseball land. The first, and to many still the best, literary novel is The Natural by Bernard Malamud, which appeared in 1952. It was the 38-year-old author’s first published novel. On one level it is the story of the ups and downs of the sensational rookie season of Roy Hobbs, a superb natural athlete, who enters the big leagues at the age of 35. On another level the book is a commentary on the American dream – or more specifically on the dark side of that dream. Roy Hobbs wants to live that dream, but he has failed to obtain it, through a combination of bad luck, bad choices, and an inability to understand how the game of life is played. He has a gargantuan appetite (literally and figuratively) for life, but he does not know how to live it. He is alone within himself, wary and distrustful of others, standoffish, and incapable of true affection – in short, not a people person, a team-mate, not a team player. There is a sort of redemption at the end of the novel when he realizes that he has learned nothing from his past life, and that he has to suffer again. The question left hanging and unanswered is whether he is, indeed, capable of learning from his past and putting his suffering to good use. In 1984 The Natural was made into a movie starring Robert Redford. The movie emphasized the mythic aspects of baseball at the expense of character development and granted Roy Hobbs the bucolic and idyllic resolution and ending that he wished for in the book but that Malamud denied him on the printed page. Two other literary novels about baseball worth mentioning appeared just a few years after The Natural. Both were written by Mark Harris – The Southpaw (1953) and Bang the Drum Slowly (1956), which was adapted first for television and then in 1973 for the movies. These books are concerned with the human aspects of the characters that inhabit the pages, not the profounder issues that concerned Malamud. Check the WRL catalog for The Natural. I’ve become accustomed to a certain kind of contemporary story about high school and college sports. It involves programs where wealthy donors court spoiled players and break school and NCAA rules with impunity, where a jaded professional attitude infects even young players and every resource is put into creating stars. There are good and bad examples of this story, but it’s getting a bit familiar. In the end, I feel a little jaded after reading about another collection of athletes with disproportionately high opinions of themselves. Muck City isn’t like those stories. It’s about Glades Central High School and a few other neighboring schools around Belle Glade, Florida, a place that is legendary for the athletes it produces on a regular basis (28 NFL players to date), but where there is no money to pour into the team. Belle Glade is a broken sugar town, a place where poverty, drugs, AIDS, violence, broken families, and unemployment are the rule, not the exception. Almost none of the players on the team have two-parent families. While Glades Central often wins or compete for state championships, its players are often in ragtag uniforms, drinking pickle juice on the sideline where other teams drink Gatorade, still playing both ways because the team can’t afford to travel a big squad. Yes, the recruiters are after the Belle Glade kids, but Mealer’s book shows a squad driven as much by desperation as by fame. Football will be the only way out for most of these kids. Everyone in the community seems to have an opinion about how the team should be run, not just because they are sports-obsessed, but because the team is one of the few bright spots in a bleak place. Mealer was given good access to the team and he uses it to good advantage, but focuses on half a dozen main characters. Quarterback Mario Rowley is a minor talent hiding major injuries, but through sheer force of will he competes for a college scholarship and to ease the memory of his dead parents. Jonteria Williams is a cheerleader trying to do something nobody at Glades Central does, make a better future through academics instead of football. Other players rise to the occasion, surprising their coaches and themselves, while at least one major talent falls prey to too much attention and not enough work ethic. Coach Jessie Hester, a former NFL player with his own demons, is trying to keep the team together while fending off a thousand second guesses and pressure to win at all cost. And while other sports stories can turn into repetitive accounts of one game after another, leading inexorably to the big game that you know from the start the team will win, Mealer’s book is more about life, about what sports can solve and what they cannot solve. About the many tragedies that can befall those who live in the world’s forgotten places and the hard-won triumphs that occasionally can be scratched out. Yes, there are plenty of game accounts, but the real game here is life. 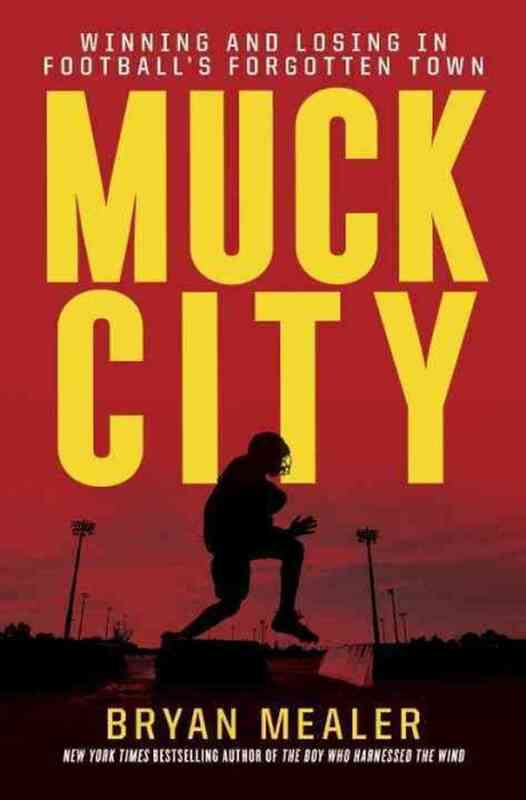 That’s what makes Muck City a book not just for football fans, but for anyone who cares about the human drama. I am the first to flee at the sight of blood. As such, I don’t watch boxing and I quickly switch the channel when watching football if the station decides there is a need to show slow motion replays of a player’s injury from EVERY ANGLE. But for whatever reason, I can stomach violence in graphic novels, as the images can be processed as art by my brain, conveniently disconnected from reality. Browsing our shelves, I picked up a copy of Heart but almost put it back again when I realized that the story revolved around an MMA (mixed-martial arts) fighter. I ended up holding on to the volume, deciding that since I had been in a reading rut recently, something so far out of my normal comfort zone might be just what I needed. The story throws you right into the middle of the octagon at the beginning of a fight between Oren “Rooster” Redmond and Mike “The Hooligan” Murphy. Glaring and tattooed with muscles tensed, they square off with the cheers, jeers, and bloodlust of the crowd in a roar around them. The story is narrated by Oren, and he baldly presents his adrenaline and bravado as well as his mistakes as he takes us through his journey from slightly overweight office worker to trained fighter. He’s inspired by his older brother, who started out as a college wrestler and progressed to MMA after graduation. From the drudgery of his data entry job, Oren enters a life that finally allows him to live life on his own terms. It’s Oren’s honesty about how his fighting career progresses that really pulls the reader into the story. He’s not trying to fool anyone, not even himself. His frankness and honesty are refreshing yet surprising, since MMA promotion isn’t known for being austere or unembellished. Oren wryly confesses to prior unkind thoughts about “guys who wore too-tight t-shirts with shiny, metallic crap written on ‘em” before he entered and embraced the culture. Heart is an engaging and powerful read. I would recommend it to sports fans, readers of graphic novels in general, or any reader who loves stories where the human element transcends the environment.